Get your interiors looking bright, light and beautiful with this springtime treat. Now’s the season throw open the windows, let the spring breeze in and refresh your home. And what better way to finish off your spring clear out than with a beautiful piece of furniture to complete your luxury look? 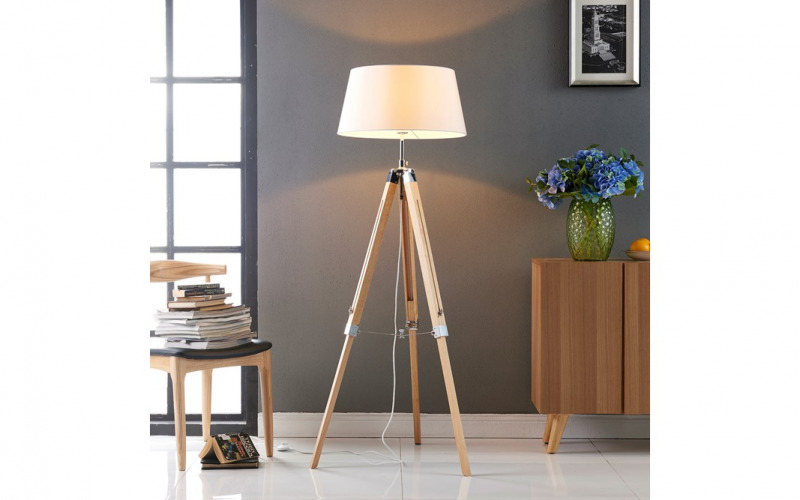 Bang on trend with elegant ash tripod and a cool, calm cream shade, accessorise any room with the chic freestanding Katie floor lamp. Perfect for gloomy spots in living spaces, or for a statement interiors piece in bedrooms and hallways. Controlled by a handy foot switch, so you can pop it on and off as you pass – or without even leaving the comfort of the sofa!